Just 5 days to go till the giveaway. 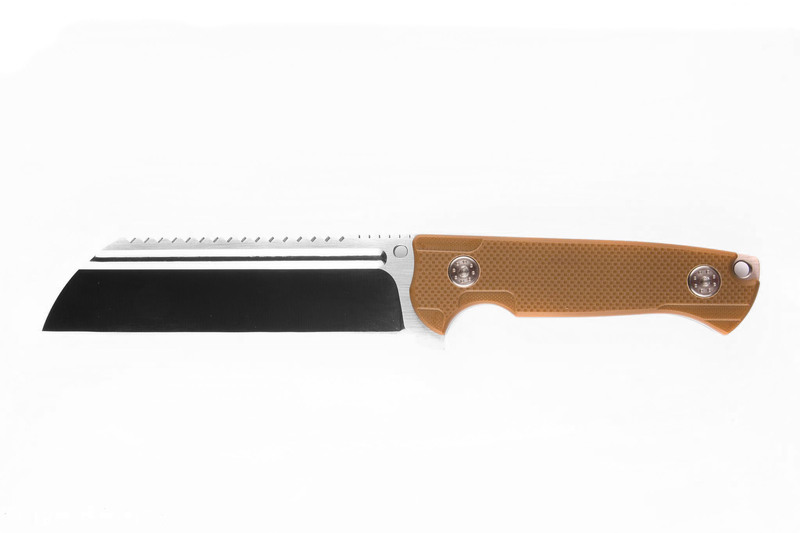 Up for grabs is an ADV Saw Butcher fixed blade, 6 inches of D2 with kevlar scales and kydex sheath valued at $538. I might be blind, where is the subscribe section on your website? Should be at the top of the page - small banner across the entire width. And for those who do not facethingy and instawhatsit. Forget that, I reckon I have cracked it via the interweb. bully and terryf like this. Just went back to your page and yep there it is, as plain as the thumb print on my forehead. It sure weren't there earlier, actually refreshing the page and several times it didn't appear either. I tried doing the subscribe thing-nearly worked the first time but nothing close after that. Little spinny circle then just goes to the home page again. Last edited by terryf; 14-06-2018 at 06:37 PM. Anyone else get a note from reloaders Regarding Tikka T3 giveaway?